Sports Fracture Attorneys Monmouth County | Tomes & Hanratty P.C. As most of us know, a fracture is a broken or cracked bone. This type of injury can happen to any bone in the body and usually occurs after a heavy blow to the bone or an awkward movement. Fractures are commonly categorized as open or closed. An open fracture is a clean break where only the bone is injured, whereas a closed fracture is a break where the tissue and skin around the bone are affected as well. When a person sustains a fracture because of a sport, it is important to explore the reason for the fracture. Football, basketball, baseball, lacrosse, soccer, wrestling, hockey, and every other sport offered in American schools come with varying degrees of risk. In some cases, sports can go a step too far and kids can be hurt by neglect. When these cases arise, it is important to have quality legal support to help recover damages for medical bills and other financial burdens brought on by the injury. 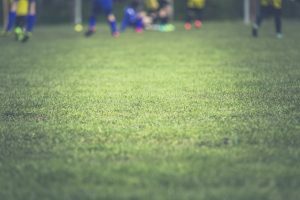 If a coach’s pressure to play exacerbated an already fractured bone, it may be negligence and you should consider your legal options. For a consultation with an experienced legal team regarding your child’s sports injury, contact Tome & Hanratty, PC to discuss your case. There are many different types of fractures. A transverse fracture is a fracture that goes straight across the bone. An opaque fracture is a tilted or diagonal fracture. Hairline fractures are tough to find on an x-ray because these fractures are small and only affect a portion of the bone. An impacted fracture is when the fractured bone hits or gets forced into another part of the bone or another bone entirely. A spiral fracture is a break or crack on the outside or surrounding the bone. A compression fracture is when the bone breaks down completely, which most commonly happens in the spine. Lastly, stress fractures occur due to repeated actions putting stress on the bone, which is found most commonly in distance runners. In sports, all athletes are susceptible to fractures, but most commonly in contact sports such as football or hockey. The most common fractures are fractured wrists, hands, collarbones, and bones in the ankles and feet. However, these fractures can be easily preventable by having a healthy diet, exercising regularly, and sticking to your daily calcium intake. Doing this will help reduce pressure on your bones and joints, as well as keeping your body fit and healthy. If you do succumb to a fracture, or you feel like you have a fracture, consult with your doctor and get an x-ray. Feelings of a fracture include immediate swelling, redness, and a whole lot of pain. In cases where there are deep fractures and penetrate the tissue and skin, it is easy to diagnose and you should seek help immediately. After you are diagnosed with a fracture, the most important way to treat it is rest. Rest as much as possible as moving the bone will cause further treatment time and a longer recovery. Injuries are sometimes part of the game, and when we twist an ankle from running, it isn’t negligent. However, there are times when an injury is not part of the game. Every year, hundreds of civil suits are filed by injured student-athletes against schools, administrators, and athletics personnel due to negligence in supervision, or instruction, as well as the failure to provide a safe playing environment or safety equipment. Common examples would be hazardous objects on the playing field, defective safety equipment, holes on the playing field, or encouraging conduct that is not part of the game (dirty playing or hazing). If you or a loved one have sustained a broken bone or another injury because of negligence in sports, it is important to consider your legal options. The school and the coach are responsible for the safety of your child. Though accidents are bound to happen and do, there are instances when an injury could have been completely avoidable. If you believe that negligence caused your child’s injury, contact Tomes & Hanratty, P.C.